Every year, thousands of new android developers are increasing. Going through only the tutorial series is not enough to be a successful android developer. Whenever you get confusion on how to start something or what to do after something or some android related issues are hanging over your mind, simply you should participate in forum sites to share your problem, bad experience or to ask any question to clear out your confusion. After seeing your problem many android developers will be happy to help you to solve out your confusion or problem. Those forum sites are not only to ask question or just to take benefit in a selfish way. Some other newbie also get problem and ask there. During this time, you can help them to clear out their problem and one thing when you share your knowledge, it benefits you too. So get help and help others. When you ask suitable question and help others by giving proper answers, your followers will increase. So, here are the some of the best forums sites for android developer to learn more by asking your problem and suggesting other developers to solve their problems. What To Do To Not Be Just Another Android App Programmer? 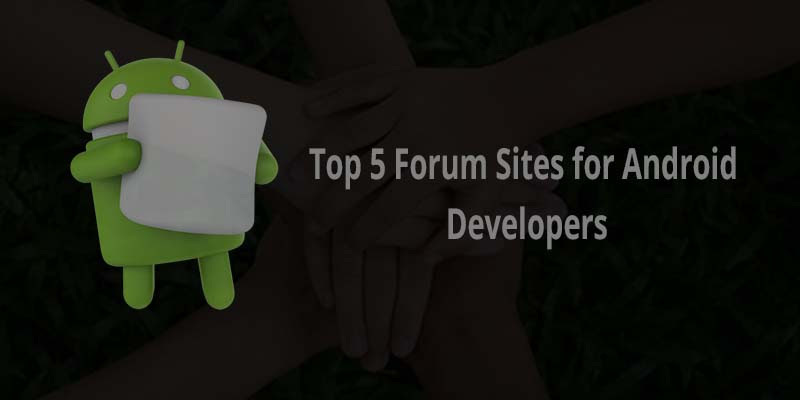 Following are the top 5 forum sites for android developers. Stack Overflow is one of the best forum sites for developer and designer. Every day thousand’s of designers and developers ask question and share their problems when they have trouble with coding and other things. And hundreds of question related to android are posted every day. While writing this post, I got to see 771,035 questions tagged under android. You can ask your question easily by logging in with Facebook or Google account. Quora is the largest forum site where we can ask questions and answer others questions too. We can find lots of questions related to android development. Some of the topics discussed are related to android including android application development tutorial, courses and game development platform. Android Forums is the first and one of the largest communities. This is only dedicated to android users and developers so you can find questions only related to android. You can share your problem and get right solution from other members. Android Dev Forum is focused on android development like tutorial, tips and also in discussing quirks, hacks and promoting there applications. Android Central is a forum that is dedicated to android. This covers every things related to android: development, phone, tablets, apps and hacks etc. No matter which one is placed at first, second, third... but I can say that Stock Overflow is best among these because there are lots of perfect designers and developers who create their profile and it has lots of features that you can’t find in other forums. If you found any other forums community for android developers, then feel free to mention in the comment box below.